I have been away from my studio for over 2 weeks and couldn’t wait to get back to sewing! I’m having a nice problem in that quilts are selling well and I’m having trouble keeping my inventory up on my Etsy selling site (www.etsy.com/shop/ArtQuiltsbySharon). As I look to the next 6 weeks before a family wedding trip, I have so many ideas floating around in my head so it is time for some creativity! 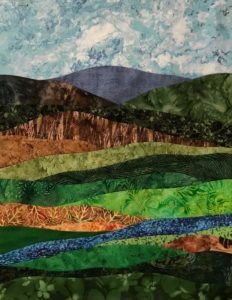 This week I pieced three new landscape quilts. I’m feeling in a creating/piecing mood so I haven’t finished any of these yet but move on to new designs and ideas as soon as one is pieced. 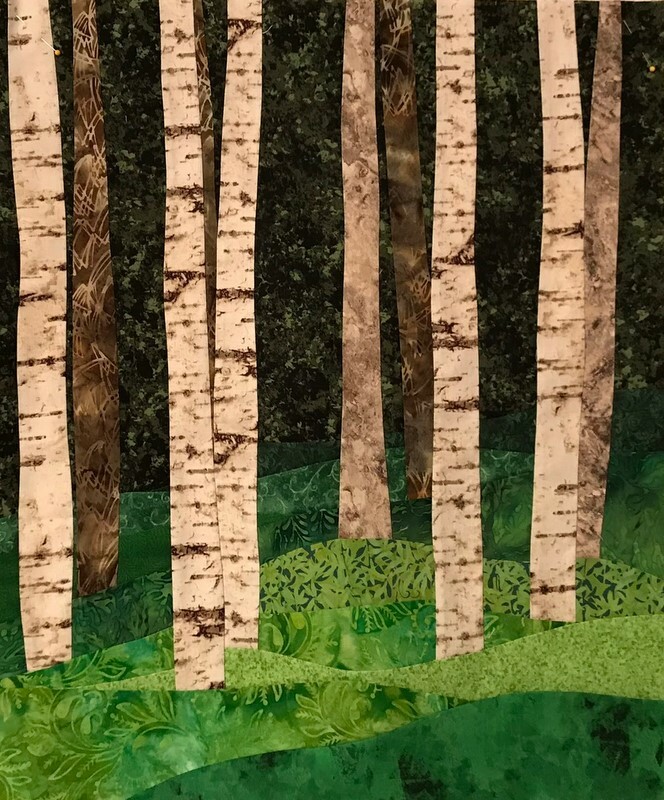 I started with a new birch tree quilt – birch in summer but with a dark background instead of the more typical medium green with periodic blue in the background. I like it!! 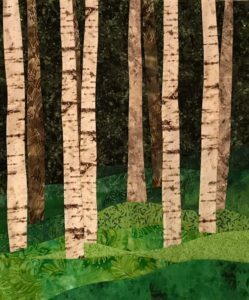 The darker background really highlights the lighter birch trees. I have about a dozen new green fabrics so it was fun to use them in this new quilt. 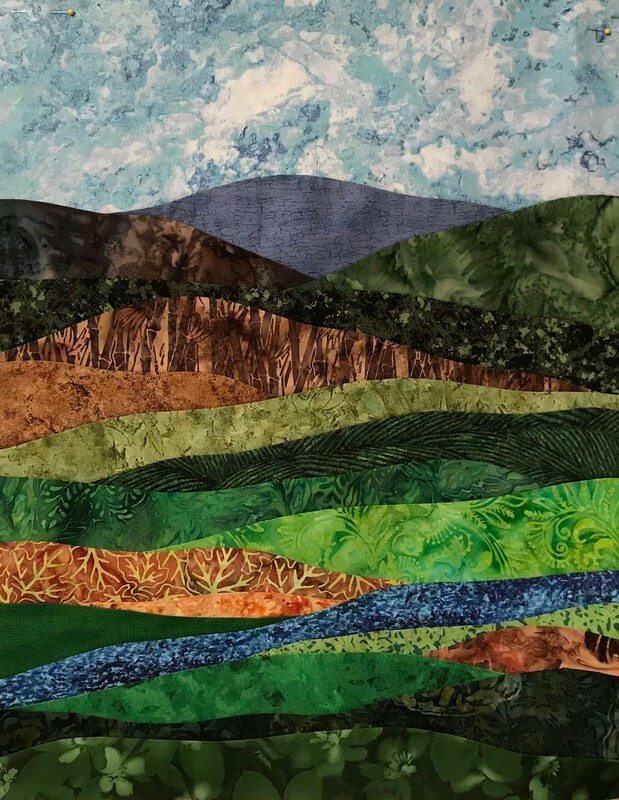 My next quilt was an Abstract Landscape but instead of a frequent focus on autumn colors, I decided to focus on summer colors. Again, lots of greens! 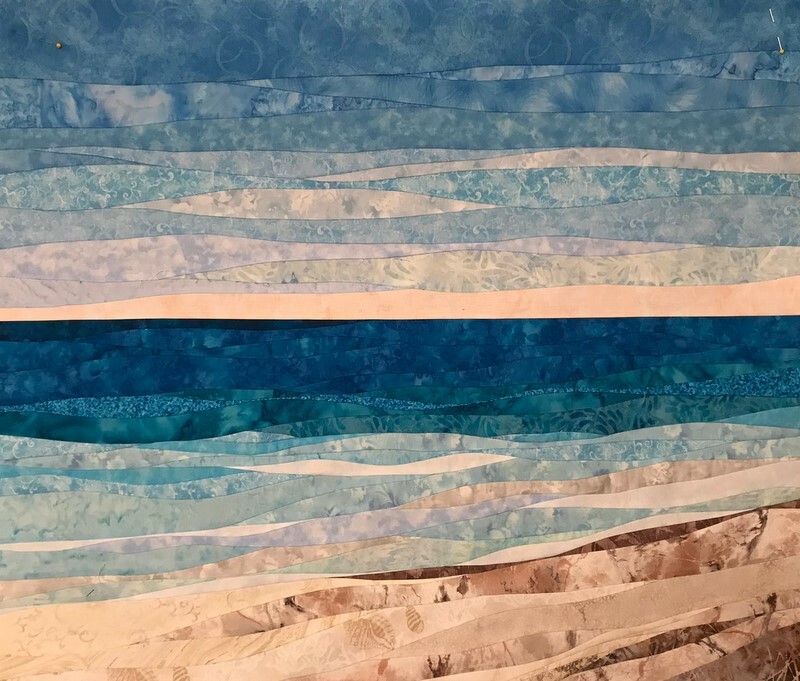 These quilts look quite easy to piece and the actual sewing isn’t hard but deciding on the shape of each piece and the order of the color piecing is the hard part. Since I don’t make or use patterns, each quilt is new and different and a start from scratch experience. I think I only had to rip things out once….possibly a new record! 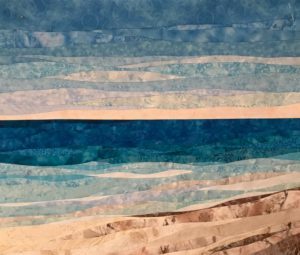 Last, I made another Ocean with Dunes art quilt. I just sold the two I had in my Etsy shop and this is a design I like to have in stock. I made one change in that I used more grey browns with the creams for the sand/dunes part of the quilt. My previous quilts were more medium to light browns mixed with the creams. I like this different color blending for the sand/dunes. And the water reminds me of the lovely Caribbean….I guess I’m wishing I was there since this winter in the northeast just won’t give it up. My next project is to create a sunset from a photo an old childhood friend posted on Facebook. In my next post I will share the photo and my new quilt.